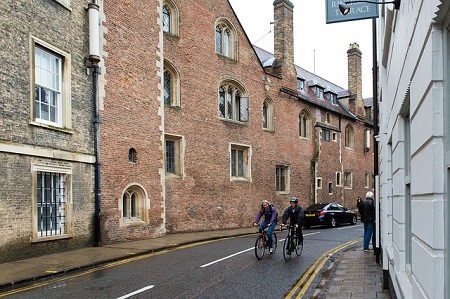 On top of all that, Cambridge is also home to a great choice of restaurants, shops and pubs that you can explore during your stay in the city. To help you make the most of your time in Cambridge, we’re taking a look at some of the most original and quintessential places to stay in the city. Citystay offer award-winning short term Serviced Apartments in Cambridge. They provide the homely feel or home with the luxury feel and aesthetic of catered accommodation, ideal for 1 or 2 nights. Find out more about Citystay’s high-end apartments here. The University Arms is the oldest hotel in Cambridge. Originally built as a coaching inn during the early part of the 19th century, the hotel has been welcoming guests for almost 200 years. Although the site remains historic, the hotel itself has been fully renovated in recent years and today you can enjoy modern facilities and modern luxury. After an exciting day out exploring the city, make sure you stop at the hotel’s bar or restaurant for a well-earned drink and some freshly made food. If you’re looking for a quintessential Cambridge experience for your break in the city, The Gonville Hotel is a great choice. As well as being home to a number of beautifully decorated rooms, the hotel also boasts an excellent restaurant and a wellness centre. Located close to Parker’s Piece and near several of the city’s most famous attractions, it’s the perfect place to stay if you want to experience the more luxurious side of Cambridge. If you don’t want to walk far after an evening in the pub, this welcoming hotel is definitely for you. 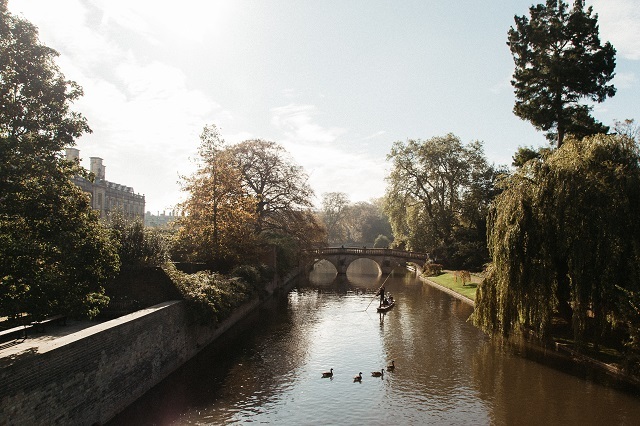 The Waterman is located just a few steps from the River Cam and a stone’s throw from the centre of Cambridge. Once you’ve enjoyed a meal and a few drinks in the welcoming pub, head upstairs to your freshly renovated room to recharge your batteries. The River Cam plays a big part in life in Cambridge, so what better way to get to know the city than by renting a houseboat out on the water? This cosy and stylish boat allows you to enjoy the beautiful surroundings of the river and its banks while still being just a short walk from the centre of the city. A great alternative choice for anyone looking for a quirky place to stay, this houseboat will get you into the swing of Cambridge life. Cambridge is home to a great choice of hotels, B&BS, pubs and other quirky places to stay. Why not book yourself a room today and discover this unique city for yourself?